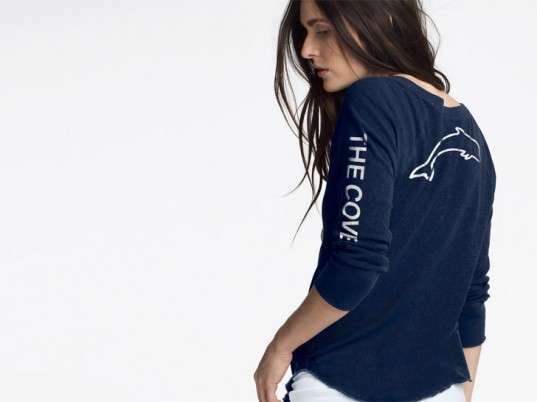 These James Perse ‘The Cove’ T-shirts are inspired by the Academy Award-winning documentary and provide a tangible, yet also fashionable way to raise money for the cause espoused by the celebrated film. The fashion line goes beyond using the film for inspiration in that the proceeds from each sale go towards supporting organizations and people who work against the killing of dolphins such as those depicted in the documentary. Each of the James Perse 'The Cove’ t-shirts cost upwards of $100, which makes them fairly expensive. With that in mind, however, those eager to support dolphin-friendly organizations will probably find this steep cost to be a small price to pay in order to help fight dolphin killing both in Japan and the world.